Major upgrades are underway for the latest fleet of Tesla vehicles. We were eagerly anticipating Elon Musk’s expected announcement this week, and now we finally know what the Tesla CEO had to share with the world: all new Tesla cars will have level 5 autonomy. This means that by 2017, Tesla cars will be fully capable of driving themselves with zero interaction from a human driver. “We are excited to announce that, as of today, all Tesla vehicles produced in our factory — including Model 3 — will have the hardware needed for full self-driving capability at a safety level substantially greater than that of a human driver,” according to Tesla’s website. Using these hardware upgrades, which will now be standard for all Tesla vehicles, come at price, however. Turning on Autopilot functionality will cost Telsa owners $8,000, a major increase in price from the $3,000 they had to spend before. 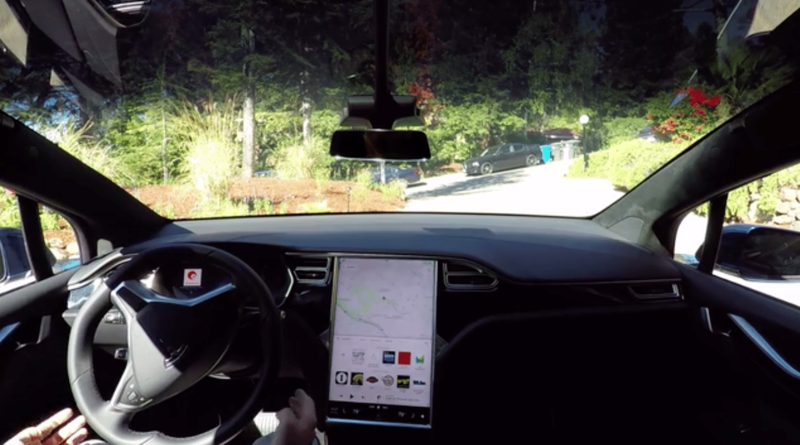 Tesla’s new Autopilot is a significant advancement from its currently available self-driving technology, which essentially functions as advanced cruise control. Right now, a Tesla car can maintain its speed, stay in its lane, and prevent itself from ramming into the vehicle in front of it on a freeway, but it isn’t capable of driving itself through a busy city intersection. Musk envisions (and has demonstrated) that the Tesla of the future will be able to drive through residential streets to pick you up, navigate through commercial districts to drop you off, and park itself safely. Looking past the convenience fully autonomous cars could provide, Musk and others (including the Obama administration) believe this technology could save lives. Year after year, WHO notes that over 1.2 million people die in road traffic accidents because of human error, and this summer, Musk estimated that half a million drivers’ lives could have been saved in 2015 if Tesla’s Autopilot function had been widely available. Taking driving off our hands, literally, may prove to be the way to prevent many fatalities.